We begin with the surprise firing of the FBI Director James Comey by Donald Trump who ironically Hillary Clinton thinks more than anyone, with perhaps the exception of Vladimir Putin, helped defeat her and elect Trump president. Laurie Levenson, Chair in Ethical Advocacy at the Loyola Law School who served for eight years as an Assistant United States Attorney and has written widely on criminal law, criminal procedure and the relationship between the law and the media, joins us. We will discuss the similarities of Trump’s firing of Comey with Richard Nixon’s Saturday night massacre as the Watergate inquiry was closing in on the embattled president, just as the Russian investigation seems to be haunting the current president who is the subject of a number of investigations including some by the FBI. We also assess the likelihood that the qualifications of whoever is appointed to replace Comey will tell all, particularly if that person is a crony of Trump’s like Chris Christie or Rudy Giuliani. Then we examine whether the election of Moon Jae-in, a human rights leader and former student activist in South Korea, after a decade of conservative rule, is a backlash against Donald Trump who the South Korean people apparently fear more than North Korea’s erratic young dictator Kim Jong-un. A former State Department Senior Analyst, Stephen Noerper, Senior Director at the Korea Society and a fellow at the Weatherhead East Asia Institute and a professor at Columbia University joins us to discuss the likelihood of a renewal of South Korea’s “sunshine policy” towards the North. We will assess the expectations of the young South Korean voters who support their new Leftist leader because of his promises to deal with youth unemployment and income inequality and to curb the power of the family-run conglomerates like Samsung and Hyundai. 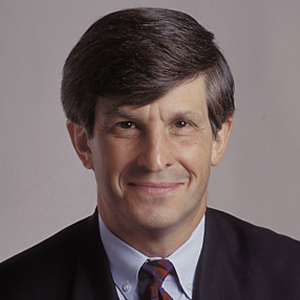 Then finally we speak with Allan Lichtman, a political historian at American University and author of “The Keys to the White House: A Surefire Way to Predicting the Next President”, a prediction system which has correctly predicted the outcomes of all presidential elections since 1984 including the last election in which, against all odds, Allan predicted a Trump victory. We discuss his latest book, “The Case for Impeachment” and investigate the many scenarios that could lead to the removal of America’s 45th president.